LG is taking a modular approach to high-resolution with their new G5 and its modular B&O module. I read an announcement and review at Digital Trends written by Ryan Waniata who claims the new module is “like and ammo clip for astounding audio”. You can read the piece by clicking here. I wrote about the HTC One Harman Kardon Edition phone from Sprint a while ago and was actually very impressed that a portable Smartphone could actually access real high-resolution music AND output reasonably good sound. Do any of these HRA portable devices deliver high-resolution audio? No, none of them do. In fact, most of the so-called HRA hardware doesn’t measure any better than a good CD player. Readers already know my feeling about the content that pretends to be high-resolution. The forthcoming LG flagship phone is modular in the sense that the DAC and headphones amplifier slide in place at the base of the phone (including the battery). Purchasers don’t purchase a phone with high-resolution capabilities; you buy the phone and then upgrade the audio DAC and headphone module. The article doesn’t say how much the new B&O module will cost but it better be less than $200 or potential customers will opt for stand-alone devices that can do the same tricks. The Hi-Fi Plus module uses the latest Sabre ES9028C2M converter and Sabre 9602c amplifier, which boast the ability to handle 192 kHz/24-bit PCM files. Sabre does design and manufacture very high quality chips and they certainly know how to deal with high-resolution files. But I’m still underwhelmed by the thought of adding a module that sports higher specifications when there’s very little content that needs specs that large. “That is simply not true. The Nyquist theorem was an agreed upon spec in the ’80s which essentially allows the digital sample to capture only the peak and trough of a sound wave at the highest frequency humans can hear. The higher that sample rate, the more accurately the analog waveform is represented in the digital realm. I called him out on this clearly wrong understanding of the Nyquist-Shannon Theorem. Ryan replied that he studied music technology in college and had work experience at a Nashville recording studio. However, it doesn’t seem that either one of those experiences provided him a basic working knowledge of digital sampling theory. And follow up sentence about needing 24-bits to “more accurately replicate analog sound is way off base as well. This from someone that studied music technology. I teach music technology and I can tell that my students leave our program knowing the difference between analog and digital. And he’s not alone in his misunderstanding. I read another post by someone that works at PreSonus about the basic tenants of PCM and she go most of it incorrect as well…including the stair-steps in the illustrations. Why is there so much bad information out there? It can’t all be about money, can it? So once again, I’m reading online articles and comments that continue to support the high-resolution audio myth and can’t even get the basics of digital audio right. No wonder no one cares about better quality audio. Even the people that are supposed to know what’s going on don’t’. I agree with you on the basic tenants of the nyquist-Shannon theorem. I was once asked a similar question on a job interview where the interviewer asked at what sample rate do I need to sample a 10khz signal. The gut reaction is to say at least 2x the target frequency (nyquist). However, that only gives you 2 data points at that frequency. A better answer is to determine what information you need from the signal. You may want to sample many times higher to reconstruct a signal. The same applies for audio as well. There is a lot of misguided assumptions and simply incorrect information floating out there. Kudos to you for trying to apply some logic behind the numbers. Keep up the good work! Perhaps I spoke too soon. I re-read your comment and went back and looked at the theorem and now I think I got what you were saying. Yes, it’s true that a continuous band-limited signal CAN be 100% reconstructed from a discrete time sampling at the 44.1khz. So, I too am at fault for perpetuating the myths. Given a perfect low-pass filter, a sampling rate of precisely double the highest frequency you want to capture is adequate. Unfortunately, not such thing as a perfect low-pass filter exists (you have to accept either some rolloff or some ringing or a mixture of both), which is why you need to set the sampling rate slightly higher than otherwise expected, but certainly not “many times higher”. I used to believe in Hi Rez but no longer. In fact, I sold off my SACD players and playing my DSD digital files downsampled to 44.1kHz. The myth was perpetuated by many quoting Oohashi but reading his latest papers clearly says that the real benefit of hirez would only be realized when frequencies extend about 32Hz and no positive effect until 48kHz due to the canceling effect of frequencies up to 32kHz. Unless I have misread his papers, this was not mentioned anywhere in the audiophile world. Now, how could DSD or SACD with 50kHz filter enhanced the listening experience? Marketing ploy? There are benefits from recording using high-res audio specs…but there are very few actual recordings done with fidelity in mind. 1/ With regard to the “basics of digital audio” and the “stair-steps” analogy. That misunderstanding has been around since the introduction of the Audio CD, and as such, the misrepresentation and misunderstanding has effectively become fact. As such, that misunderstanding has its own form of inertia that will require a great force to change. First, it doesn’t help that for a very long time digital audio file editor’s visually depicted PCM audio as stair steps. That’s changing. Second, I recall high end audio retail store conversations from 30 years ago about CD vs vinyl where it was explained that the digital stair-steps were the reason why CD sounded “harsh” compared to vinyl. Too many people focused on the analog voltage equivalent of the digital sample and neglected to factor in the reconstruction filter — at that time there wasn’t the awareness to some of the other impactful elements like jitter, filtering, and power supply noise. With the recent vinyl resurgence, retail is very quick to use the stair-step analogy again to make Audio CDs look inferior, but that same argument is suppressed somehow when attempting to sell HRA gear. Until the knowledge level changes and marketing tactics change in retail showrooms, the myth will persist. The myth, based on my points above, having been propagated in retail and print media, has became the basis of understanding digital audio that many people just relied on and didn’t question. A lot of people don’t exercise scientific skepticism and won’t question the incorrect explanation. I deal with the misunderstanding by connecting an oscilloscope to the line level output of a CD player and playing a CD with a test track of a 20 kHz sine wave. I will first show the “traditional” stair steps in a digital audio file editor. Let’s face it, a 20 kHz (44.1/16) signal doesn’t look pretty in the digital domain – so if the demonstration stopped there, the observer would leave with an expectation that 16/44.1 PCM is junk. Then, I show on the oscilloscope that the analog output of the CD player is a nicely shaped sine wave. 2/ With regard to the Nyquist-Shannon Theorem. I can honestly say I have not studied the theorem extensively, but I do have unanswered questions on whether the theorem is robust enough for all forms of audio. It has been extensively demonstrated that the theorem is robust for sine waves and IIRC the theorem was developed on the basis of voice audio. Music is not composed of sine waves, and effective output with different forms of audio couldn’t be more exemplified than when considering the specs on audio equipment; where 2 pieces of equipment with the same specs (based on sine waves) sound different to each other with music. If Nyquist-Shannon Theorem was robust enough for music, then there would not be a requirement for HRA. There are perceivable differences between Redbook audio (16/44.1) and HRA. I would like to see more research and a solid scientific explanation for why there is a difference, and if we can scientifically explain that difference, then when referencing the Nyquist-Shannon Theorem there should be qualifications on that reference as to when the theorem is applicable or not. The Nyquist-Shannon theorem does hold up, and is the reason why CD-quality audio is more than good enough for capturing music. As you obviously disagree with this, please provide verified double-blind tests of people who are able to discern CD-quality from HRA. You won’t be able to find any, because it is not possible. A clean sine wave is the best way to test the noise and distortion characteristics if audio equipment, because it is the simplest and purest possible sound, and thus also the most corruptible. And of course, all sound can be expressed as a combination of sine waves. A perfect square wave is nothing but a base frequency tone with an infinite number of overtones of decreasing amplitude. Like I said, the Nyquist-Shannon theorem does hold up, and has done so for decades and decades, despite every attempt to invalidate or disprove it. If my comment was structured in a manner that allowed interpretation that I disagreed with the fundamentals of the theorem then I am at fault for not being clear in the point I was trying to make. My position is quite the opposite. It is my opinion that if differences that are detectable with higher sample rates, then the higher sample rates are compensating for something. What I said was “I do have unanswered questions on whether the theorem is robust enough for *all* forms of audio.” I was only tabling that I would like to see scientific evidence explaining why some music delivered with a sample frequencies higher than 44.1 kHz (HRA) would sound different, and how that can measured in a scientific manner. And if that can be scientifically demonstrated, is it a fault of the theorem, or something else, like not adhering to the constraints of the theorem. I was just supporting Mark’s assertion that a lot of people don’t understand the theorem as it applies to digital sampling theory. For example, the theorem’s constraints related to band limiting and reconstruction. I believe the theorem is robust enough for music. But the theorem applies to the ideal case of a perfectly limited bandwidth, which is impossible in the real audio world. Therefore, increasing the sample rate a reasonable amount (certainly not to 768 or even 192 kHz) does increase the fidelity of in band music (and some additional ultrasonics as well). This may be the difference you experience. If you listen to my Laurence Juber “Mosiac” track in CD res and HD, you’ll be hard pressed to hear any difference. I fully agree with your statment. The only point you need to adopt is that music IS composed of sine waves. Basic tone and harmonics are combined to the typical wave form we see in an oscilloscope (or in Mark’s Audition screen shots). Nyquist Theorem is rock solid and mathematically proven. Most of the people who talk about digital audio are entirely unqualified. At least two disciplines must be well understood. One is information theory that explains information channels and methods. I studied this as part of my electrical engineering education. The Nyquist theorem is only one many aspects that relate analog and digital information systems. It defines some of the minimum requirements for a digital information channel to equal an analog information channel within specified limits and it is not the only one. The other is a through understanding of electronics, both digital and analog and how they interface in both directions. Few people even in this industry have this knowledge. Anything spouted by anyone else is entirely uninformed and can be dismissed as repeating what someone else said and they got it wrong or having made up their own theories. Do I have this knowledge? Not anymore. I’ve forgotten some of it, my interests lie elsewhere but at least I understand the problem and part of the solutions. The actual knowledge is contained in electrical engineering textbooks and advances are published in technical papers in professional journals and in patent applications (which don’t necessarily mean the patents will work.) Unless you are already an electrical engineer, you are not qualified to understand these books or publications. So the reason that you hear so much garbage from salesmen and pseudo experts including hobbyist magazine reviewers including JA and even designers is that they don’t know anything. They make up whatever they think will sell. BTW, this is a real problem. An identical problem might be to measure the light levels at one spot on the moon 46,000 times a second and report it back to earth. The levels can range by a factor of at least 10 to the 14th power (140 db) and the information has to be stored until it can be retrieved and relayed back to earth directly to an earth station or relayed by communications satellite. Yes there are real people out there who understand this problem and what is required to solve it, but only a relatively small percentage waste their time on applying it to audio equipment. For an old analog foggy like me, digital audio is not easy to grasp while digital pictures can be more easily represented. It would be great Mark if, in your coming book, you could come up with a visual representation of digital audio that would, once and for all, obliterate that unnerving stair-steps illustration. I will be showing how digital audio works. The reality is that the data points in PCM digital audio result in a smooth analog waveform just like the source file…not steps. The D/A converter reads the digital number and programs a power supply to generate a corresponding voltage. The transition from one voltage to another would be a step except that an shunt capacitor and/or series inductor filters the higher harmonics and limits the rate at which the output waveform can change. This type of circuit is also called an integrator. It works because current in an inductor cannot change instantaneously V(t)= L*di/dt) and similarly for a capacitor I (t) = C*dv/dt. Neither di/dt nor dv/dt can be infinite. Choosing the right parameters results in a smooth curve. This is also for example how AM radio signals are detected. All stations no matter what frequency are brought down to the same IF frequency 455 kHz and the time constant of the filter is designed specifically to smooth the waveform at that frequency. A superheterodyne receiver adjusts the RF tuning frequency and local oscillator with the same knob so that the difference is always 455 kHz. The IF stage amplifiers selectively at that frequency. A detector diode and capacitor are used to detect and integrate the smoothed modulated waveform. This works on the same principle. Thanks Mark, it’s been a long time since I experienced calculus and I’m not sure readers will follow the logic of your comments, but I appreciate the contribution. 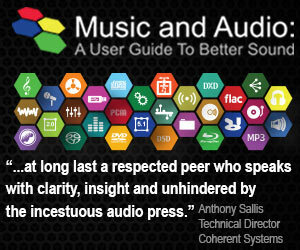 The simply fact is there are not steps in PCM digital audio. Always go back to basics first. Sometimes the answer is staring you right in the face if you are just willing to look at it. 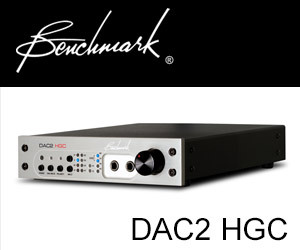 It is capable of HRA playback like – if not better than – many dedicated DACs. I often use my iPhone 6 for HRA playback with the audio output directly fed to a final amplifier. The sound quality is just superb. I expect (hope?) this quality level to become the norm for most phones in the future. Thanks very much for the link. I’ve read through the analysis Ken did of the iPhone 6 and found his analysis refreshing and informative. The iPhone cannot internally handle high-resolution music files but the point it moot when you consider that most so-called “hi-res music” isn’t. 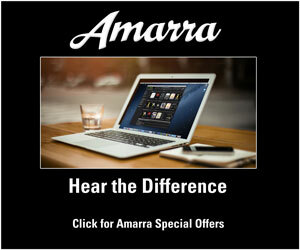 Live with great sounding standard-resolution files and focus on getting the right headphones. showing that, while the iPhone is ok for HRA in terms of noise level and dynamic range, it is somehow internally limiting the headphone output to 44.1 kHz or 48 kHz sample rate. So let’s say it is half-way there… and hope this sample rate limitation is removed soon (and more truly HRA music files become available). As I have written previously, the literal ‘hi-res-ness’ of a recording is not the underlying value, at least not for music listeners who simply want to hear their beloved music in the best possible iteration. That iteration is the first generation, original recorded sound; there is simply no other Holy Grail for home audio/music lovers.Again, the term ‘Hi-Res’ was the worst possible choice of nomenclature.’ First Gen Sound’ would have sparked more interest than ‘hi anything’ at this point in our hype-filled culture. And the HRA specsmanship stuff has hurt the cause of progress far more than it has helped. All it does is confuse folks more than they are already. I know you will never change your stance, because you too have vested interests and also a technically based ideology. Music is not about technical ideologies; it’s about generating and receiving a form of energy that is unique and universal all at the same time. The technical side involves removing barriers to full assimilation of the art. Hopefully it all meets in the middle, but I don’t see much sign of that. I have a feeling MQA is going to make most of this fuss a moot point anyway. I have a good collection of both high rate LPCM and DSD music files; and through reference grade gear, they all sound far better than any previous format, LP,CD, etc., and easily reveal the sonic clues that inform us we are hearing first gen audio. It’s not critical, but I also have several of the excellent DVD-A discs you beautifully re-mastered at 24/96 from the original analog tapes. I know it wasn’t your label, but I’m sure you were financially compensated and thus ignored the blatant claims of ‘Hi-Res’ that are all over the liner notes and shows up on a monitor visually as well as on the printed graphics. I don’t hold this obvious bending of closely held standards as a sign of (your) gross compromise, and I’m sure you are glad you haven’t received a torrent of input about this. But you continue to viciously attack Pono when the very same rationale can be used for the fact that the Pono music service is not all hi-res tracks. This becomes even more pointless when the Pono player is acknowledged to sound very nice, and you have your choice of sites from which to download. You keep saying that all the hi-res b.s. is financially motivated. Well, weren’t you financially motivated when you engineered those DVD-As’? that by your current standards could not be ethically labeled Hi-Res. Thanks for the comments Craig. I agree that High-Resolution was not a good choice. But I don’t agree that “First Generation Sound” is any better. It doesn’t mean anything. You and I would both like the record labels to issue the best “master” in the best possible delivery format. But that doesn’t happen. It never has. The issue of which master is the “best” master is as challenging today as it was in the 60s. The analog mixdowns—the “mix masters”—were usually copied to safety masters prior to being mastered. The production master was then copied for each replication or duplication facility for every country in the world. There were also Vinyl ED’s masters, TV masters, and cassette masters…all of which sounded different. Which one is the first generation master? They all are! Specifications have worked for the television segment of the audio/video market. The audio people are trying to ride on the same train…and they’re screwing up big time. 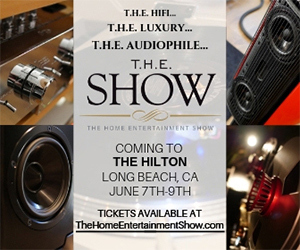 I have advocated for honesty and transparency within the high-end audio industry. There is no meaningful definition of high quality music. Using the analog performance specs delivered at the consuming end of the production chain seems reasonable to me. And I would like that to match the capabilities of my ears not some arbitrary and subjective imagined standard. Technology improvements in audio production, transmission, and distribution provide the potential for greater fidelity…if that matters. The “energy of music” is contained in the science of the art form. 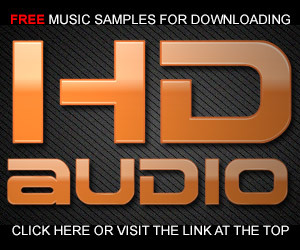 Your listening skills are better than virtually the entire population is you can perceive “high-rate and DSD music files” as sounding far better than any previous format. I know the vast majority of participants in the CEA study couldn’t tell an MP3 from a native high-res file playing on HRA equipment. You know that I’ve worked as a mastering and audio engineer for decades. And yes, I do whatever my clients want me to do and I get paid for that work. When I extracted a faux 5.1 mix and upconverted a CD of Ministry for Immergent Records and they marketed it as a 5.1 “hi-res” product, I got paid. I wasn’t asked whether I through the product was a fraud. It clearly was…along with the majority of music marketed as “high-res music”. I’m not ashamed of providing services for clients. But I’ve never been shy or dishonest about the things others are doing. There’s nothing vicious about pointing out Pono and Ponomusic’s shortcomings and the myths that Neil Young promotes. The points I’ve repeatedly made are true. His falsehoods have diminished the potential success of real high-res music creation and distribution. I’m not the only writer tha has challenged Neil’s dubious assertions. I already wrote about “HD Vinyl Lps” after hearing from the CEO behind the effort who agreed that his new process would not produce an HD Vinyl record. I’m not really familiar with the B&) HiFi plus module. There is always this video. Using high quality analog measuring gear, you get to see what the analog results of digital sampling and reconstruction are. Pretty impressive and there are no stair steps. You get to see it. I like the idea of a portable phone add on but not the fact that true mainstream prog rock high rez (my fav) is non-existent. I bought a used Colorfly on Ebay and it gathers dust for that reason. Buyer’s remorse… never again. Does the B&O Hi Fi plus module have a better dac and amp than the onboard G5 solution? The G5 can supposedly do “Hi res” audio initself without the added module (as can aother android phones like S7, HTC 10 etc). So the decision (of an informed consumer) to buy (or not) the module is (or should be) based upon the difference in the quality of the dac/amp offered by the B&O module (ES9028C2M dac + Sabre9602C amp) compared to the standard found on the phone, not the ability to playback “hi res” audio. I totally agree with you about all the b.s surrounding “hi res” audio, but the buying decision about his product isn’t about its supposed ability to playback 24/192 files as this is already possible with the onboard solution found in the G5 if someone wishes to, but the upgrade in hardware (dac and amp). It’s just folly to think that moving to Hi-res on a phone will really make a difference when playing standard resolution upconversions. Of course it is, but that is not what this product is all about since the onboard dac of the LG G5 can already decode “hi res” audio. You’re paying for a top end portable ess dac and headphone amp combo compared to the one found in the phone. It’s not about 192/24 playback capability.